It all started last Sunday. A dear friend/parishioner mentioned that Cardinal Müller would be coming to address a group of priests (CCC) in the coming week. She had found out this information from a person who runs our favourite piety shop. She thought there might be a public talk. She said she would try to find out and let me know. Two days later, this was confirmed. I was excited. This had not been widely publicised. The only problem was that it was at 7pm (quite dark during this, our winter) and it was out in the sticks- thick bush all around. I knew approximately where it was – not far from my daughter’s place. It was a fairly new Retreat and Conference centre with a beautiful Romanesque style church. I can’t drive at night – my eyes can’t handle all the lights – (guess I’m getting old!!). My faithful brother – much older than me but who can still handle night driving, could not come that night so I enlisted 2 other people (Legion of Mary members) to come with me. It was difficult to find. It was right away from the main roads. The road was narrow and wound around; there were no street lights and only a house here and there. I didn’t want to miss the turn off. (thank goodness for the GPS). It was a narrow road – dark and no houses – just thick bush both sides. I spied a bit of a gap in the bush with something that stood out. We stopped to see what it was. With only the car lights to see – there was a sign – not very big – and not illuminated. This was it. There was only a narrow track – so we followed it – seemed like kilometres long. Actually very scary. Finally we saw lights. This was it. The first thing we saw was the church – a beautiful Romanesque-style building and lots of meeting rooms, dining rooms and accommodation facilities. There were lots of groups of priests – all dressed in their long black cassocks, standing around. We had to ask where the talk was being held. As we entered – there were freebies – the latest issue of ‘The Priest’ – the publication of ACCC; also information pamphlets and holy cards, and brochures to sign up as a lay support member, etc. There were also tables of books from our favourite piety store – fancy seeing them here! We were so surprised to see many people and priests that we knew. We didn’t know what the CCC was – a group of diocesan priests, all dressed in long black cassocks and white collar. There were many young priests, as well as some old ones. 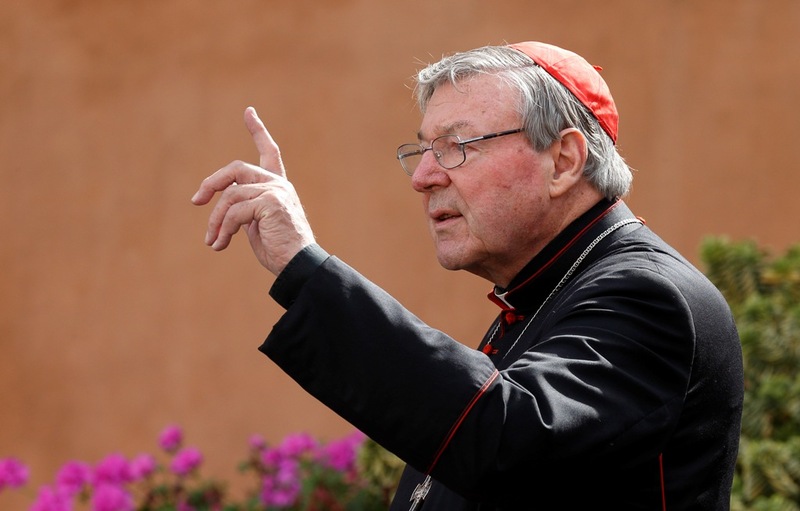 our very own dear Cardinal George Pell. There were priests from states all over Australia. It was their annual meeting and retreat. It was such a privilege to be there. The ACCC (Australian Confraternity of Catholic Clergy) promises to uphold traditional teachings of the Church). It’s what we need – more priests like this to counter modernism and relativism. On pursuing their magazine, we saw articles by 2 other Australian Bishops – this means we know of at least 4 Australian Bishops that are part of this group. The talk was very academic, and it was like a lecture at uni. I guess it was really aimed at the priests. I wished I had brought another very knowledgeable professor/ parishioner along. Normally, I can quite clearly write notes, but the language and the structure was too difficult. I would write down a few words, then forget the end of the sentence. Synods were councils in the early Church to help teach Truths – e.g. the Creed. Now, in theses times they are used for secularization of the Church. Synods must go back to Holy Scriptures, and Magisterium. Reform of the church can only be through renewal in Jesus Christ. “Brave reformers” usually just end up with the same old heresies. The Holy Spirit is often mentioned in terms of reform, but the H.S. was sent by Jesus. Unless the reforms are grounded in Jesus Christ and His teachings, they are not of the Holy Spirit. Referring to the pope’s encyclical “Laudato Si” , the Cardinal said that environmental protection and climate change are not reasons for the existence of the Church. The Church must speak about Revelation. It is a provider of spiritual direction. It is only a placebo without the message of the Gospel. He spoke of the general cultural climate – of relativism, modernism and post modernism – of “obsolete” doctrines of Faith and Morals. Enlightened intellectuals have spent the last 300 years to wipe away Christian tradition – we are in the deep waters of deChristianization. There is a battle for substantial deChristianization.. The exterminating labour camps were hell on earth. Abortion is the Culture of Death. Fools “see the creature not the Creator”. “sweet venom of flattery”; mockery and indifference for those who want to be priests. “Therefore I send you prophets”. Card. Müller said “Suffering with Christ can be a blessing for you. “Don’t hide it under a bushel’. The Card. said he hoped the synod to be held here would be better than the ones held in Rome. The Catholic Religion requires deep water to swim. In terms of genuine renewal h ow do we do this? A: Read the BIble, the decisions of the Councils, the Sacraments, Prayers, catechism, Church Fathers, Commandments, the Mass. Christianity is an intellectual religion. You can’t love God if you don’t know Him. Know your own Faith before studying others. Relativism – young people are so fooled. How do you deal with it? A: It is an ideology against nature. It is against logic. They don’t accept he rules of logic. They can accept “transgenderism but not “Transsubstantiation”. A lady said that there was a universal catechism”. She asked, in terms of Catholic Schools or whether you are a catechist in a public school –why did the teaching vary from diocese to diocese. As an example, she mentioned the new RE Curriculum to be introduced into the Parramatta diocese which questioned the True Presence and said that miracles od Jesus were only symbolic. The answer (in a nutshell) – Without God, it makes no sense. The Plenary Councils/synods focus on listening to groups. What is Christ trying to say to us? Cardinal Müller said that you can’t dislink the Holy Spirit from the teachings of Jesus Christ. No other revelation is possible. The Holy Spirit is not another Incarnation. The H. S. is of Jesus Christ, so they must listen to the Scriptures. This question was based on a society with a diversity of cultures and faiths. How can we learn from the Fathers of the Church? A. We don’t need a homogenous society but we need unity in Faith. Our philosophy now is anti-Christian. There are no exceptions in the basic commandments. Reality is greater than the idea in a papal document. How can Reality be greater than the ideas of God? They can’t be. (I can’t remember the question but here is the answer): Modernism: Is a subjective interpretation of the Faith; close to protestant theologians. For people today, the documents of the Church are very important (to defend the Faith), but we can’t force people to accept it. Afterwards, we were invited to join the priests for refreshments. We spoke to quite a few. Some we knew from the past; others came to say hello to us. I had more courage than usual, because I knew that Cardinal Müller was there to stand up for the Truth. A few weeks ago, a prayer group member in another state, sent me a bulletin from a particular parish. It spoke about events in the Church. While speaking to a young priest, I mentioned this priest’s name and wondered if he was here. Next thing I saw this priest making a bee-line straight for me. He shook my hand and called me by name. (obviously, the young priest I had been speaking to me, went and told him) We spoke about the importance of people being aware of events unfolding in the Church. It was a very motivating and joyful experience. I am so glad and thankful that I was able to go. We are going to join the lay association. 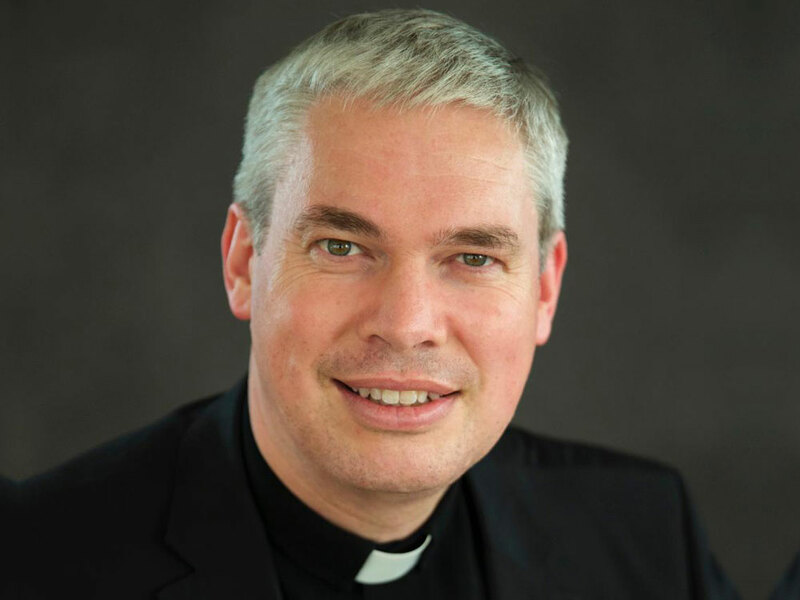 It is a worthy cause – to support these priests. We will need them in times to come – as they will need us. Enable them to continue to lead us in Your Truth and salvation. P.S. There is also a “CCC” in other countries – e.g. the USA. If you haven’t heard of them, google them and make a point of connecting with them.